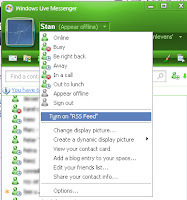 WLM RSS-Feed Plugin allows you show a RSS Feed as your personal message on Windows Live Messenger. You can register your self and add an existing RSS-Feed and put it on the "OpenFeed List". 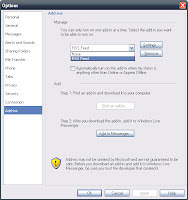 It's also possible to create an RSS-Feed where you add your own text.